Springs Farm is dedicated to providing fresh, locally grown produce for our customers. Fresh picked peaches and strawberries along with other locally produce is our specialty! 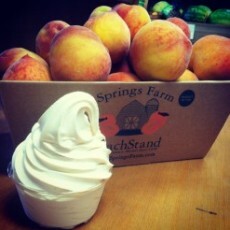 Don't forget about our delicious homemade peach and strawberry ice cream!